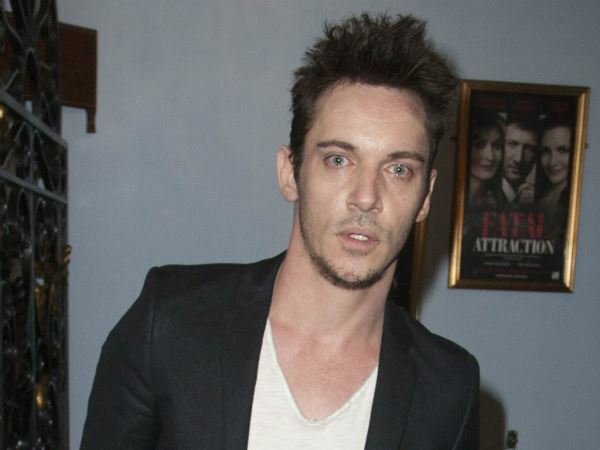 Jonathan Rhys Meyers is reportedly “drinking himself into oblivion”. The Tudors star was spotted sipping vodka from the bottle while walking the streets of London on May 15. And Jonathan, who has been admitted to rehab for alcoholism three times in the past, is said to be off the wagon in a major way right now. While drinking vodka in public a few weeks ago, Jonathan looked extremely disheveled, as the fly in his trousers was down and a prominent stain glared from his t-shirt. However, it’s claimed the 37-year-old star barely even noticed his appearance on the day. Sad news of Jonathan’s apparent relapse has emerged just months after it was revealed last December he became engaged to wed film producer Mara Lane. The pair were together for just 11 months before becoming betrothed. Jonathan, who’s been arrested and fined for public intoxication in the past, has previously spoken about his battle with alcoholism. "I was wild, I was as wild as you can get,” he told British newspaper The Mirror in November 2013.